Arlington, VA, December 8, 2015 – The 2015 Parents and the High Cost of Child Care report released today by Child Care Aware® of America (CCAoA) shows a continued trend of child care costs that put a strain on families, rivaling what the average family pays for one year of college tuition at a four year institution. Further, the cost of full-time, center-based care for two children is the highest single household expense in most parts of the country. While families continue to struggle with child care costs and finding affordable, quality care solutions, U.S. businesses also pay the price for employee absenteeism due to child care breakdowns, losing approximately $4.4 billion in 2014. The latest report finds that the average child care can cost as much as $17,062 annually for an infant, or $12,781 annually for a four-year-old. 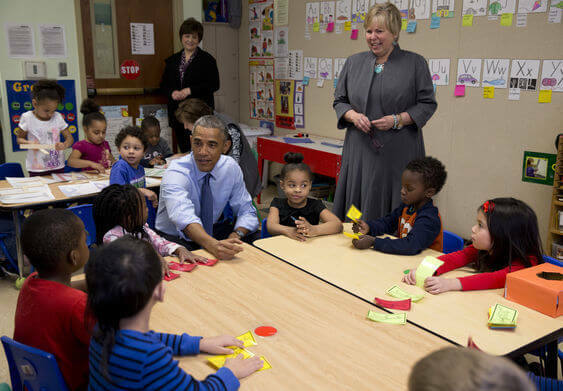 The cost of child care is especially difficult for families living at or below the federal poverty level. 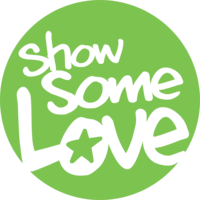 For these families, full-time, center-based care for an infant ranges from 24 percent of family income in Mississippi, to 85 percent of family income in Massachusetts. For single parents the costs can be overwhelming — in every state annual costs of center-based infant care averaged over 40 percent of the state median income for single mothers. Child care providers with strong professional preparation are essential to providing a high-quality early learning program, and the quality of adult-child interactions is one of the most powerful predictors of children’s development and learning. However, in every state, child care workers would need to spend nearly 50 percent of their income in order to afford child care for their own children. In 6 states plus Washington, D.C., over 100 percent of the median child care worker’s income is required to put two children in center-based care. The 2015 Parents and High Cost of Child Care report took a look at five urban counties for the cost of care for infants and four-year-olds. The study found that these areas had higher costs for child care than the statewide average. create a seamless, affordable child care system that works for families, which will require an investment from businesses, families, and state and local governments. 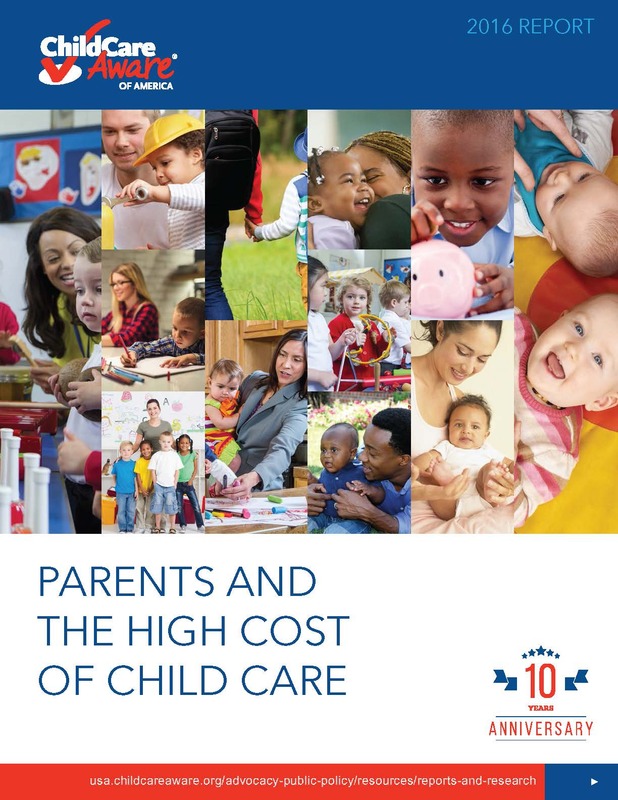 Copies of the 2015 Parents and High Cost of Child Care may be downloaded at https://usa.childcareaware.org/costofcare. This year’s report also includes an interactive map that allows users to quickly access a variety of cost data for each state. Find out child care costs in your state here: https://usa.childcareaware.org/costofcare.